Initially, he referred to Right Wing Watch who he said is funded by George Soros. After lamenting his Wikipedia page, he implied that someone (perhaps Soros inspired people? He once said that “secular guys” recruited us) got Christian professors to attack his book on Jefferson. He then said that Thomas Nelson got scared by the controversy and pulled his book because they were bought out by Rupert Murdoch and didn’t want any controversy. He defended himself saying that he had boxes of documentation for his claims and that his new book has a chapter debunking his Christian critics. Now we have gone silent (lulz). 1. I have never been recruited by anyone to write a critique of David Barton’s work. I do it because I want to and it is immensely satisfying to know the truth. George Soros does not fund my work. 2. There are scores of Christian professors around the country who have weighed in on Barton’s history, not just six. 3. Thomas Nelson said plainly that they lost confidence in the book’s facts. Thomas Nelson did their own review of the claims made by Barton’s critics and determined his books was historically unsound. This was reported widely (not just on MSNBC). The claim about Murdoch has no support. Barton has never offered any proof that Murdoch had anything to do with his book being pulled. Furthermore, HarperCollins Christian (what Thomas Nelson was folded into) has published other controversial books since Barton’s was pulled. 4. Barton’s new book does have a chapter addressing some of our claims. However, he also changed several claims in the new book in keeping with our critiques without giving us any credit. I don’t agree that he satisfactorily addressed our claims and we certainly haven’t gone silent. It never ceases to amaze me how Barton can stand before Christian people and say the things he does. I challenge Barton to provide proof that Thomas Nelson pulled his book because they didn’t want controversy. I challenge him to offer proof that I have been recruited by secular guys, George Soros or anybody to attack his work. I challenge any of the crowd at the meeting to check Barton’s statement with the Christian professors Barton denigrated. You can get the rest of the story about Jefferson by reading Getting Jefferson Right. David Barton was a guest on Michael Brown’s Line of Fire show recently and spun some familiar yarns. A story that has been around awhile (since Barton’s 1989 book Myth of Separation) is his claim that Thomas Jefferson incorporated the Bible and Isaac Watts hymnal into the curriculum of the Washington D.C. schools while Jefferson was president. This claim has been thoroughly debunked before by others, notably Jim Allison and Chris Rodda. While those authors documented well their rebuttal to Barton, I like to consult the primary sources for myself. Here I lay out Barton’s claim followed by the truth. When he became president of the United States, the Constitution authorizes that Washington, D.C. be run by the federal government, not by any state. So the schools of Washington, D.C. are under federal control. This is a new city when he moves in, he’s the president, he’s the first president to have a full term in the White House, everything else was in New York and Philadelphia, so he gets a full term, brand new city to him, he is now in charge of Washington, D.C. public schools as well. So he’s on the school board for Washington, D.C. public schools, they have to start the system, he authors the plan of education for Washington, D.C. public schools and he installs two reading texts for Washington, D.C. public schools, one is Isaac Watts hymnal, which is where we get the hymns like Joy to the World, etc., that’s what they learned to read from, and the Bible is the other one, and so Jefferson did that. Most can probably visualize the Bible as a text to teach reading, 55 but what of Watt’s Hymns? Isaac Watts was a Christian theologian and hymn writer, penning some of the strongest doctrinal anthems in Christendom, including classics such as “Jesus Shall Reign,” “Joy to the World,” “O God our Help in Ages Past,” “When I Survey the Wondrous Cross,” “Am I a Soldier of the Cross,” “At the Cross,” and others. It was this hymnal, along with the Bible, that was used to teach reading to students in the school system whose plan of education was directly attributed to Thomas Jefferson. Barton, David (2015-12-22). The Jefferson Lies: Exposing the Myths You’ve Always Believed About Thomas Jefferson (Kindle Locations 1813-1832). WND Books. Kindle Edition. We can go to the very source Barton points readers to in the footnote to debunk this story — the article by J.O. Wilson on the history of the D.C. schools. * Let’s take the claims one by one. Jefferson was elected to the D.C. school board in 1805. He accepted in a letter to Robert Brent and at the time told Brent he would “willingly undertake the duties proposed to me, so far as others of paramount obligation will permit my attention to them.” In other words, being president had to come first. After this, Barton’s claims are mostly false. Did Jefferson Write the Plan of Education for Washington, D.C. Schools? A notably comprehensive report, setting forth in detail the plan of the entire educational system from an academy to a university, was prepared by a select committee and adopted September 19, 1805. Mr Jefferson’s early and liberal contribution in money and his accepting and holding the offices of trustee and president of the board of trustees of public schools so long as he resided here show his personal interest in their establishment, and the fact that he had several years earlier proposed a quite similar plan of education for the state of Virginia and a few years later, in 1817, vigorously renewed his proposal, make a strong probability that he himself was the chief author of the first plan of public education adopted for the city of Washington. Wilson did not affirm that Jefferson wrote the plan, he guessed Jefferson authored it based on circumstantial evidence. We don’t know what Jefferson’s role was in writing the plan. Did Jefferson Make Sure the Bible Was Used in D.C. Schools? There is no mention of the Bible or a hymnal by Watts or anyone else. So where does Barton get the idea that Jefferson incorporated the Bible and Watts’ hymnal? A little later in his article, Wilson described some developments after Jefferson left office. In 1813 Mr Henry Ould made the first report of a Washington public school of which we have any record. It reads as follows : February 10, 1813. 130 scholars have been admitted into your institution since the 10th of February, 1812, viz., 82 males and 48 females, out of which number 2 have died and 37 left the school for various employments, after passing through several grades of the school, which therefore leaves 91 on the list. 55 have learned to read in the Old and New Testaments, and are all able to spell words of three, four, and five syllables; 26 are now learning to read Dr Watts’ Hymns and spell words of two syllables; 10 are learning words of four and five letters. Of 59 out of the whole number admitted that did not know a single letter, 20 can now read the Bible and spell words of three, four, and five syllables; 29 read Dr Watts’ Hymns and spell words of two syllables, and 10, words of four and five letters. Thomas Jefferson left the presidency in 1809 and retired to Monticello, no longer president or a member of the D.C. school board. This 1813 report summarized the work of one school which was implemented in 1812. Barton gets his claim that Jefferson included the Bible and Watts’ hymnal in his plan from a report about another plan implemented in one school and submitted nearly four years after he left town. Barton’s mash up of the facts is clearly wrong and has been since 1989. What Did Jefferson Say About the Bible in Schools? In sum, David Barton claims Thomas Jefferson wrote a plan of education for the Washington, D.C. schools which included instruction in reading from the Bible and a hymn book. The very source Barton cites as evidence debunks these claims and demonstrates that Barton is willing to mash up the facts to get a story useful for his overall narrative about Thomas Jefferson. *Another source for the history of the Washington, D.C. schools is here. I have just about run out of headlines to describe the errors in David Barton’s description of why The Jefferson Lies was pulled from publication in 2012. He and World Net Daily continue to promote the idea that the book’s critics were liberals and that Thomas Nelson pulled the book due to political correctness. I’ve debunked these false claims more than once. Barton blames the ignorance surrounding Jefferson on the refusal of professional historians to review original documents instead of second-hand sources. Thomas Jefferson, “The Thomas Jefferson Papers,” Library of Congress, to Robert Brent on August 14, 1805 (at: http:// hdl.loc.gov/ loc.mss/ mtj.mtjbib015028). Thomas Jefferson, “Report of the Commissioners for the University of Virginia,” The University of Virginia, August 4, 1818 (at: http:// nersp.osg.ufl.edu/ ~ lombardi/ edudocs/ jefferson_uva_1818. html). Thomas Jefferson, Memoir, Correspondence, and Miscellanies, Thomas Jefferson Randolph, editor (Charlottesville: F. Carr, and Co., 1829), Vol. IV, 23, to Mrs. John Adams on July 22, 1804, Vol. IV, 228, to John Adams on October 28, 1813, and Vol. II, 48– 50, to Mrs. Cosway on October 12, 1786; Thomas Jefferson, The Works of Thomas Jefferson, Paul Leicester Ford, editor (New York: G. P. Putnam’s Sons, 1904), Vol. II, 253– 254, “Notes on Religion,” October 1776, Thomas Jefferson, The Writings of Thomas Jefferson (Washington, DC: The Thomas Jefferson Memorial Association, 1904), Vol. XIV, 71– 73, to John Adams on January 24, 1814; etc. Barton, David (2015-12-22). The Jefferson Lies: Exposing the Myths You’ve Always Believed About Thomas Jefferson, WND Books. Kindle Edition. As others do, Barton uses what are more accurately called primary sources to cite Jefferson’s words. One can find them on the web or in edited collections of his letters. I have yet to come across a footnote in Barton’s new edition which cites an original document only available to Barton. In the first edition, Barton cited a sea letter signed by Jefferson which he apparently has in his library. However, in the new edition, that letter is not cited. As an aside, Barton used that letter to claim Jefferson signed presidential documents with the phrase, “In the year of our Lord Christ.” We demonstrated in Getting Jefferson Right that Jefferson did not choose to write that phrase in his own handwriting on a shipping letter and apparently in response (I can’t find it in the new edition) Barton removed the claim from the new edition (for more on this claim check here and here). Free and open access to the raw materials of history is not enough for K–12 classroom teachers. They also need the strategies and resources for effective, relevant, and rigorous primary source instruction. All TPS professional development offerings for history teachers convey the same message: teaching with primary sources helps students ask meaningful questions, develop critical thinking skills, and acquire new knowledge. Whether students are learning about the Civil War, the dust bowl migration, or the civil rights movement, working with primary sources models the investigative process used by historians, and encourages active student engagement at all stages of the learning process. For example, a lesson on the Declaration of Independence in which students compare Thomas Jefferson’s handwritten “original Rough draught” with the final version adopted by Congress on July 4, 1776, illustrates differences in word choice and intent, and hence demands greater scrutiny of Jefferson’s language and the meaning he attached to his words. Also available at the library’s web site is an online interactive program that assists students in sourcing the documents that Jefferson drew upon for ideas and phrases (http://myloc.gov/Exhibitions/creatingtheus/Pages/Interactives.aspx). Barton must know he is misleading people here. Perhaps he could give an example of an historian using secondary sources inappropriately but that doesn’t mean that a majority do it. Furthermore, his critics rely on primary sources. We certainly do and since he says he has read Getting Jefferson Right, he knows we do. Another problem with Barton’s claim is that he uses secondary sources. Barton, David (2013-02-15). The Jefferson Lies: Exposing the Myths You’ve Always Believed About Thomas Jefferson (Kindle Locations 3024-3030). WallBuilder Press. Kindle Edition. 31 Wilbur E. MacClenny, “James O’Kelly: A Champion of Christian Freedom,” in The Centennial of Religious Journalism, ed. John Pressley Barrett (Dayton: Christian Publishing Association, 1908), 265. 32 Dr. J. P. Barrett, editor of the Herald of Gospel Liberty, Dayton, Ohio, quoted in Wilburn E. MacClenny, The Life of Rev. James O’Kelly and the Early History of the Christian Church in the South (Suffolk: Edwards & Broughton Printing Company, 1910), 171– 173. Barton, David (2013-02-15). The Jefferson Lies: Exposing the Myths You’ve Always Believed About Thomas Jefferson (Kindle Locations 5926-5932). WallBuilder Press. Kindle Edition. MacClenny wrote in 1908 and 1910 (click the link for the 1910 book). MacClenny provides one source for his information regarding O’Kelly and Jefferson, J.P. Barrett. Barrett was the editor of a church newsletter, Herald of Gospel Liberty. While I don’t know Barrett’s entire tenure at the newsletter, he was editor in the early 1900s and not during the early 1800s. He did not witness Jefferson calling O’Kelly one of the “greatest preachers living” because he wasn’t alive. In this case, Barton not only used a secondary source (MacClenny), but he used one (Barrett) another step removed from Jefferson’s time and the event in question. Barton did just what he accused professional historians of doing. Furthermore, professional historians would find such a source laughable. What about in the new edition? Did Barton keep the O’Kelly stories? While Barton removed the story of Jefferson calling O’Kelly one of the greatest living preachers, he still relies on MacClenny to claim O’Kelly was Jefferson’s great friend and preached twice at Jefferson’s request. Barton, David (2015-12-22). The Jefferson Lies: Exposing the Myths You’ve Always Believed About Thomas Jefferson (Kindle Locations 3620-3624). WND Books. Kindle Edition. Barton, David (2015-12-22). The Jefferson Lies: Exposing the Myths You’ve Always Believed About Thomas Jefferson (Kindle Locations 6873-6875). WND Books. Kindle Edition. In fact, there is no primary or contemporary source for the claims about O’Kelly. Barton relied on a secondary source (MacClenny) which in turn used a secondary source (Barrett) to spread questionable information about these events. Both secondary sources were 100 years removed from the events in question. In fact, there is no primary source evidence that O’Kelly ever preached at Jefferson’s request or even met him. In preparation to write Getting Jefferson Right, I read James O’Kelly’s papers which are housed at Elon University. In them, there is no mention of a friendship with Jefferson or of preaching in the Congress. The only reference to Jefferson is correspondence between Senator Harry Byrd and the Library of Congress. Sen. Byrd asked the Library of Congress if O’Kelly ever preached in Congress. Frederick Scott, acting chief of the Library of Congress’ Government and General Research Division replied in 1971 that no records could be found to substantiate the story. I also asked Anna Berke at the library at Monticello if Jefferson ever corresponded with O’Kelly. After a search of all of Jefferson’s papers, she informed me that there is no letter to, from, or about James O’Kelly. The short summary of this matter is that Barton did what he accuses others of doing. Those who are enamored with Barton’s extensive footnotes should check them out. To promote David Barton’s second edition of The Jefferson Lies, World Net Daily, Glenn Beck, and David Barton claim the first edition was pulled from publication by publisher Thomas Nelson due to ideologically motivated attacks by liberals. Despite the wildly popular success of the original hardcover edition, or perhaps because of it, a campaign to discredit Barton’s scholarship was launched by bloggers and a handful of non-historian academics. And you know, the other nice thing about it [republishing The Jefferson Lies] they say, is that it takes this, excuse the expression, this isn’t my expression, this would be somebody elses’; I don’t know who’s, but, the liberal bastards that went and have an agenda and not based in facts had it pulled off the New York Times bestseller list because it just didn’t have the facts. This [holding up The Jefferson Lies] has taken all of their arguments and dismantled all of their arguments. Many in academia today openly proclaim their disdain for traditional American ideals and heroes, including Thomas Jefferson, routinely twisting his words to suit their own agendas. This is what happened four years ago. But through the new release of ‘The Jefferson Lies,’ Americans will not only meet the unfiltered Jefferson as he speaks clearly for himself on a variety of issues, but they will also understand why he was so proudly esteemed by Americans for literally centuries, until trashed by modern professors and critics. The problem with this narrative can be illustrated with a sampling of conservative criticisms of The Jefferson Lies. First of all, let’s recall that Thomas Nelson is a Christian publisher who continues to publish books by conservative authors, including Jerome Corsi, Eric Metaxas, Richard Land, Judge Napolitano, Tom Coburn, William Bennett, Kevin McCullough, Star Parker, Sam Brownback, and others. When the book was pulled in 2012, several conservative organizations and media sources reacted with approval. Why It Matters: In 1950, British biologist Sir Peter Medawar said that French philosopher Teilhard de Chardin “can be excused of dishonesty only on the grounds that before deceiving others he has taken great pains to deceive himself.” A similar criticism could be made about Barton. While his books and videos have deceived thousands of Christians about the historical record, Barton appears to be sincerely convinced of the superiority of his own interpretations. Yet despite his claims to being an “historical expert,” Barton tends to make sloppy, factual errors and extrapolations that are wholly unsupportable. For instance, he claims the U.S. Constitution is laced with biblical quotations. The Gospel Coalition’s council consists of additional mainstream, conservative evangelicals such as John Piper, Al Mohler, Russell Moore, Tim Keller and Anthony Carter, just to name a few better known non-liberals. On The Point, a Colson Center radio show, John Stonestreet summarized the controversy over The Jefferson Lies by referring to Jay Richards’ efforts to involve 10 Christian historians in an evaluation of the book. As Stonestreet noted, the response was negative. Barton’s errors seem sufficiently well documented. They are nothing less than tragic, for him and for his large audience. Inevitably some Christians will be angry with those who have shined a light on David Barton’s errors. Far better they recognize that the best way to rally around him is to encourage him to stick close to the truth. Far better we all stick close to the truth. Welcome to the website for the Institute on Religion & Democracy. We are a watchdog of the religious and evangelical left, disputing their claims to represent millions of church members when espousing a liberal or far-left political agenda. And as for the powerhouse spokespeople for such reactions, David Barton provides the material to meet the agenda. Thus, the “exaggerations” are propped up even more since they meet the requirements of a belly-aching pattern of decline and ruin. Unfortunately, the agenda comes at the expense of individual souls. Students—especially the scholastically adept—are hurt very badly by the misinterpretations, misportrayals, mistruths. I barely survived coming across the knowledge, and there are many who do not. David Barton isn’t helping by circulating lies. Those of Christian-cultural influence must realize that we their children are not just bullets in the culture war. I’m not really much for the metaphor in the first place, but if we’re really serious about protecting marriage, life, and the Western heritage, we ought never to stretch the truth to get our way. Proceedings have already gone underway; it’s time to court martial David Barton. I’m not a scholar of Thomas Jefferson, but I am a scholar of John Locke . Barton has an article about Locke on his website, so I thought I’d weigh in with my opinion on whether it matches Jay’s description of Barton’s methods. It does, and then some. I should note for the record that I’m not only a conservative (both theologically, as an evangelical, and politically, as a Republican) but one with a track record of defending Locke against claims that he was a deist or that his philosophy is antithetical to Christianity. As providence would have it, just over a week ago I published an article on how Locke’s Reasonableness helped me come to faith in Jesus Christ. As a Christian historian and Christian leader, I believe very strongly that we must be truthful and forthright about our beliefs. We must also be people of integrity and be scrupulous in how we present our case. In my judgment, David Barton has not done this. (Thomas Nelson has ceased its publication of Barton’s book on Jefferson.) He needs to be called to task and evangelicals in the US must be much more discerning and careful in what is claimed about our Founders. Sadly, with the level and degree of error I have found in just the chapter I reviewed, I cannot recommend this book to the average Christian reader. While a book like this needs to be written vindicating Jefferson from much liberal nonsense, the reader nonetheless will need to fact-check nearly every claim Barton makes for accuracy. And this is way too much to ask of the average reader. If that is to be the task, it would be better to skip Barton’s book altogether and go read all of Jefferson’s papers directly, because that what the reader will have to do eventually anyway. In light of these conservative criticisms, it is clear that Barton, Beck and WND are engaged in a massive effort to revise history, and not just about Jefferson. Liberal attacks did not doom The Jefferson Lies, numerous conservatives weighed in. Historians, pastors, culture warriors, and scholars from a wide variety of disciplines publicly expressed concerns. Eventually, Thomas Nelson conducted a review and made their decision. Brannon Howse is a very conservative minister who has been a critic of Barton’s Christian nation teaching for several years. He consistently reposted information critical of The Jefferson Lies. Howse is quite conservative. I am aware that some conservative Christian groups continue to laud Barton’s approach to history (e.g., after a brief hiccup, Family Research Council; even though they had to correct his facts, Focus on the Family; and American Family Association). My reason for documenting the response of other prominent conservatives is to counter the hoax now being perpetrated by Barton, Glenn Beck and WND that any opposition to Barton’s Christian nation approach to history and The Jefferson Lies comes only from liberals, non-historians, non-evangelicals or leftists. Prior to Thomas Nelson’s decision to pull The Jefferson Lies, several critical reviews from Jefferson and/or American history scholars appeared in print. John Fea teaches at Messiah College; I don’t know how the others would describe themselves. Wall Street Journal – A Still Unsettling Founding Father – Alan Pell Crawford. 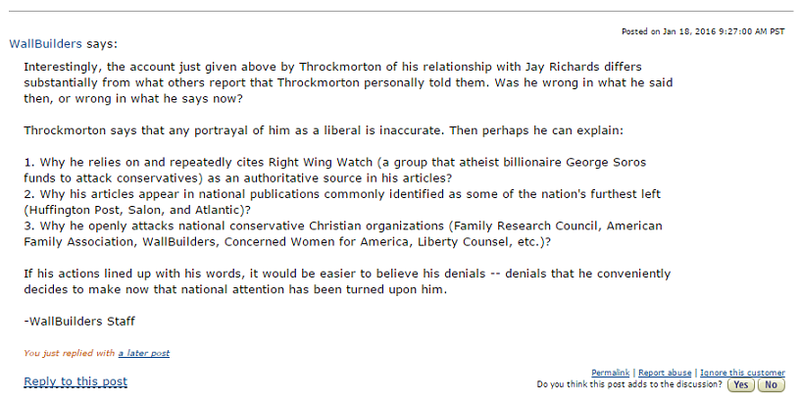 In his new edition of The Jefferson Lies, David Barton claimed that I recruited Jay Richards to find Christian historians who would engage in a campaign against him. That charge is still false. I denied the charge in a post here and in a review on The Jefferson Lies Amazon page. Barton claims his Christian critics were recruited by “secular guys.” Of course, this is flatly false, at least in my case and anyone I know. No one recruited Michael Coulter and me to critique Barton’s book. Furthermore, there are dozens of Christian professors who have critiqued Barton’s work simply because it is the right and honest thing to do. Jay Richards is a Fellow at the Discovery Institute who recruited 10 scholars to read our book and The Jefferson Lies. None of these scholars were recruited by secular people to critique Barton. I don’t know if Barton, Wallbuilders or WND will ever admit it, but it is undeniable that numerous conservative Christians have come forward with major academic critiques of the claims presented by Wallbuilders. To support his claim that I recruited Richards, Barton wrote this footnote in the new edition of The Jefferson Lies. The publisher of another of my works, The Founders Bible, released after The Jefferson Lies, reported to me some unexpected and unsolicited contacts he had with Warren Throckmorton, explaining: “About a month ago, I started to get hounded by Throckmorton via email and on our website. He even called my former publishing partner and ended up issuing a warning and a threat. Warren ‘warned’ that he had assembled a coalition of people, supposed conservative Christians, who were mounting a campaign against David. If we intended to publish The Founders’ Bible, anyone associated with Barton was likely to suffer financially, because they were going to come against him. Sort of hit me blindside.” I received this email from the publisher of The Founders Bible on August 16, 2012. Barton, David (2015-12-22). The Jefferson Lies: Exposing the Myths You’ve Always Believed About Thomas Jefferson (Kindle Locations 4669-4675). WND Books. Kindle Edition. On July 3, 2012, I wrote to a friend who once was involved with the publisher of The Founders Bible with a heads up about the issues relating to The Jefferson Lies. The email was not a threat but rather a concerned personal alert to a friend. As I understand it, that email was forwarded to the publisher of The Founders Bible. I also made attempts to contact the publisher directly for comment about various aspects of the Founders Bible (for instance, I wondered if The Founders Bible was really going to include a favorable reference to a defender of Southern slavery). In my contacts with my friend and with the publisher I recollect describing the emergence of critiques from Christian conservatives. Jay Richards contacted me in May 2012. He told me he had been commissioned to contact Christian historians to explore fact claims in The Jefferson Lies. While I was happy to hear that Richards was involved, I did not recruit him. Later, I made contacts with my friend and the publisher of The Founders Bible in July 2012, months after Richards first contacted me. I have yet to hear from Wallbuilders about their claims but will update this post if I do. 4. Did the University of Virginia Have Chaplains? Barton, David (2013-02-15). The Jefferson Lies: Exposing the Myths You’ve Always Believed About Thomas Jefferson (Kindle Locations 1330-1335). WallBuilder Press. Kindle Edition. Barton, David (2013-02-15). The Jefferson Lies: Exposing the Myths You’ve Always Believed About Thomas Jefferson (Kindle Locations 1362-1369). WallBuilder Press. Kindle Edition. Instead of securing chaplains, Madison hoped that the students and parents would handle the religious matters themselves voluntarily. 4. DID JEFFERSON EXCLUDE RELIGIOUS INSTRUCTION FROM THE ACADEMIC PROGRAM? As already noted, in 1818 Jefferson and the university Visitors publicly released their plan for the new school announcing that it would be transdenominational and making clear that religious instruction would be provided to all students. But Jefferson insisted on additional steps to ensure that religious training would occur at the university. Barton, David (2015-12-22). The Jefferson Lies: Exposing the Myths You’ve Always Believed About Thomas Jefferson (Kindle Locations 1997-2000). WND Books. Kindle Edition. There is no actual academic debate over the eventual presence of chaplains at UVA. Barton’s narrative seems designed to make him look like he is revising history in the direction of accuracy. However, when you know the rest of the story, it is easy to see who engaged in revision. Barton has taken the position that Michael Coulter and I are mostly wrong in our critique of The Jefferson Lies. However, in this case, our accurate telling of the story apparently resulted in a significant alteration in his book. Instead of acknowledging this, Barton and World Net Daily are doubling down on the false narrative that the first edition was killed due to liberal attacks. GROVE CITY, Penn., Jan. 13, 2016 /Christian Newswire/ — Yesterday was the official release date of the second edition of “The Jefferson Lies” by Ted Cruz’s Super PAC coordinator David Barton. 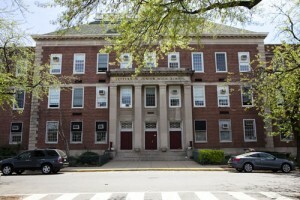 Published by World Net Daily, the second edition promises to answer Barton’s critics and restore Jefferson’s reputation. However, there is much World Net Daily and Barton are not telling the public about the circumstances surrounding the new book. 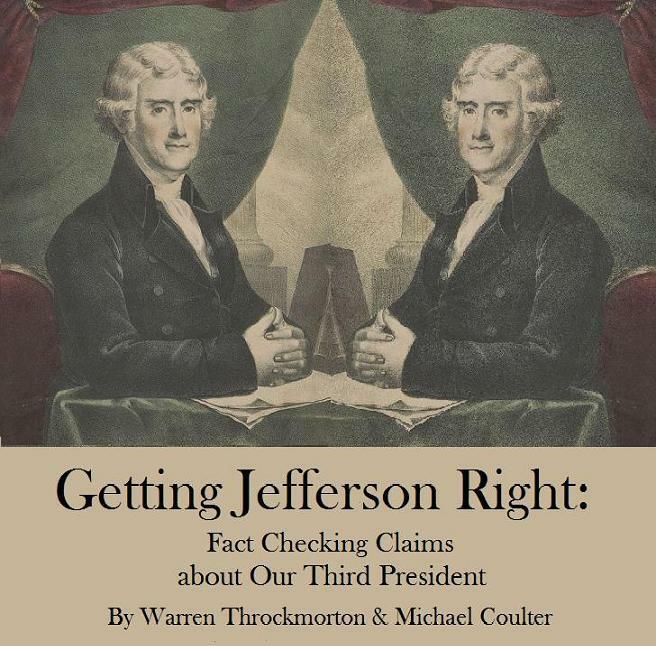 Many of those historical details are addressed factually in “Getting Jefferson Right: Fact Checking Claims about Our Third President,” a 2012 book by Christian college professors Warren Throckmorton and Michael Coulter. With the release of the second edition of “The Jefferson Lies,” the fact checking in “Getting Jefferson Right” is more important than ever. 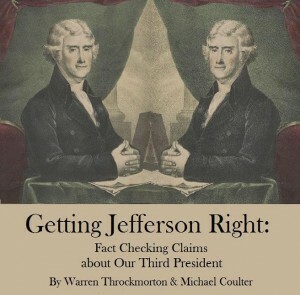 Members of the media may contact Warren Throckmorton and Michael Coulter regarding the facts surrounding the removal of “The Jefferson Lies” from publication in 2012, the allegations of liberal bias now and the historical claims made in “The Jefferson Lies” about Jefferson’s life and work. For more information, see Getting Jefferson Right. Even though the book has been available on Amazon for over two weeks, yesterday was the official release of the second edition of The Jefferson Lies by David Barton. To promote the book, Glenn Beck was in typical hyperbolic mode throughout the day on his network. I caught some of the radio segment and watched Barton’s appearance on Beck’s afternoon television show. Prior to Barton’s television appearance, Beck introduced the segment by trashing me as a leftist psychology professor. I have debunked idea that somehow Barton’s book fell victim to political correctness. Furthermore, to cast me as a leftist is laughable. To read the book by Michael Coulter and I that addresses many of Barton’s Jefferson claim, see Getting Jefferson Right.